Imagine what it must have been like looking out your bedroom window and seeing a nearby barn on fire? 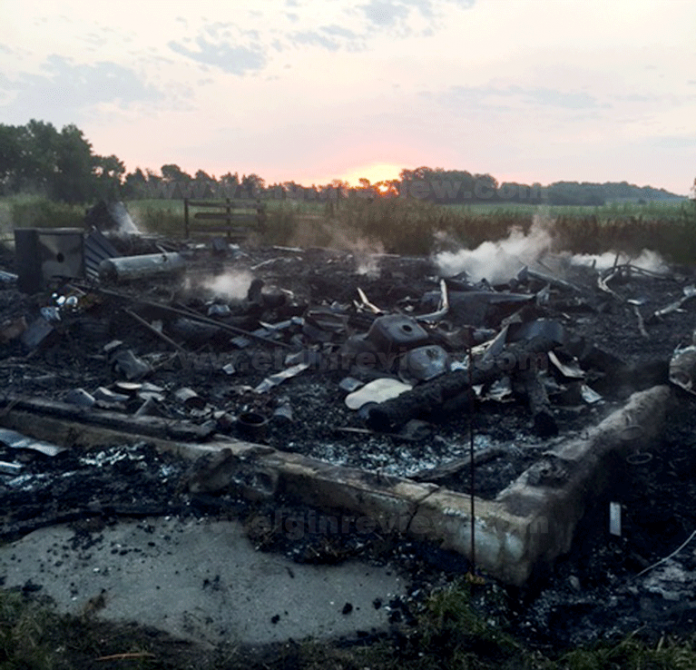 That’s what Doug VonBonn woke up to shortly after 4 a.m. Monday morning. 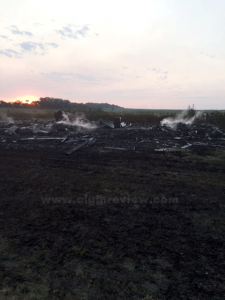 Lightning is being blamed for a fire which burned a barn down to the ground. The barn was owned by Gene Norton. 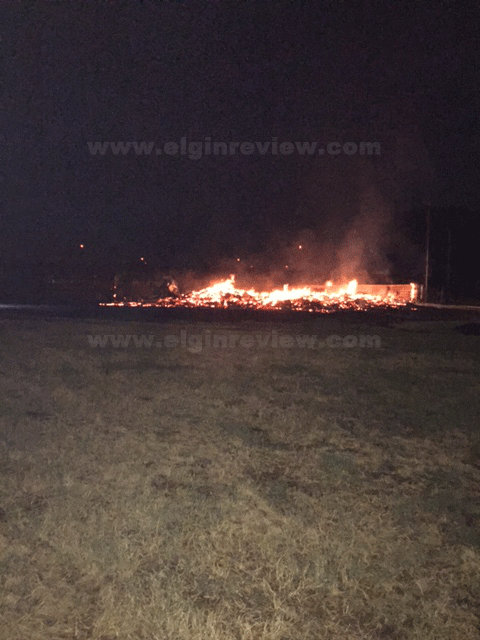 VonBonn told The Elgin Review a lightning strike to the barn must have smoldered for several hours before igniting into flames. A severe thunderstorm rolled through the Elgin area around 8:30 – 9 p.m. Sunday evening with numerous lightning bolts and loud thunder filling the sky. While the storm didn’t result in much moisture, it did produce plenty of lightning. The Elgin Volunteer Fire Department was on the scene before 4:30 a.m. but there was little to save as fire had completely demolished the barn. VonBonn said siding on the second story of the house was heat damaged. Also, there was some heat damage to a semi-tractor trailer truck parked west of the barn. He also said a tractor suffered some heat damage as well. 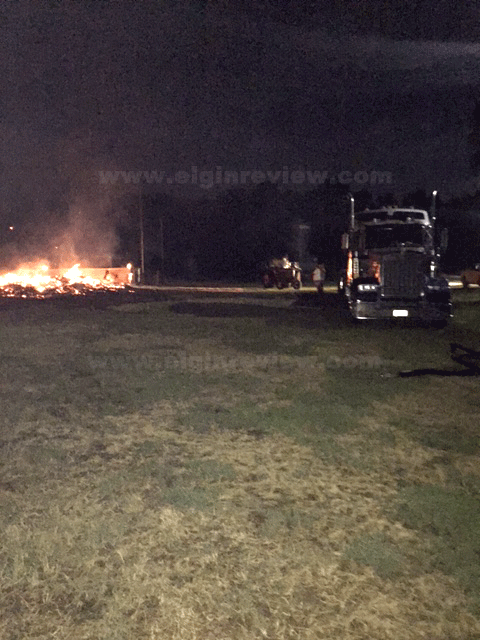 The fire burned grass to within a few feet of the truck. The fire was approximately seven miles west and two miles south of Elgin. The late Sunday night storm didn’t produce much rain but had an abundance of lightning. Photo submitted.